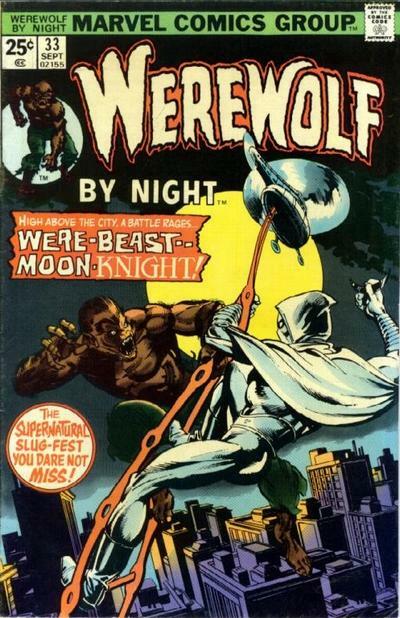 As a fanboy who started reading in the 70s, the so-called BRONZE AGE of comics remains, for all its simplicity and goofiness, my favorite era. I retain vivid memories of hitting the spinning racks of comics at the Pensupreme, Thrift Drug and Rea & Derrick stores (or, even better, the two WALLS of racks at Prince Street News in downtown Lancaster). 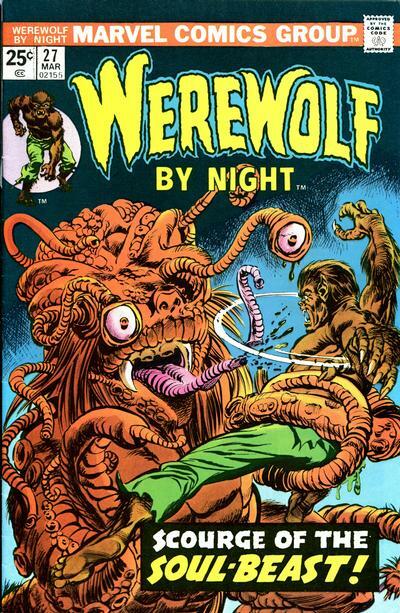 To this day, certain comic book covers hit me with that same magical wallop they did when a couple of bucks from Mom and Dad could load me up with a fistful of four color goodness (and maybe a Slushie on the side). 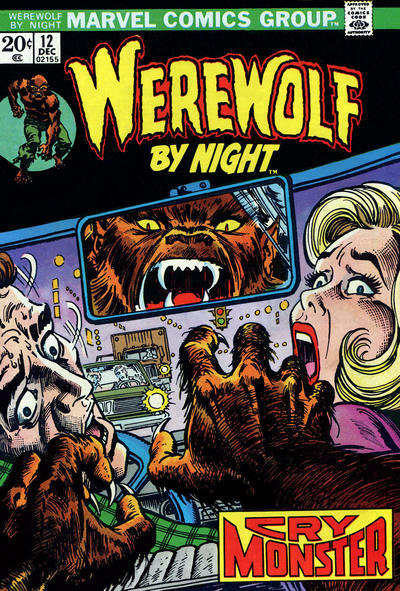 I’m gonna post some of these titles and covers, starting with these beautiful Mike Ploog covers from Marvel Comics’ WEREWOLF BY NIGHT series of the 1970s (soon to be turned into a movie, or so they say). 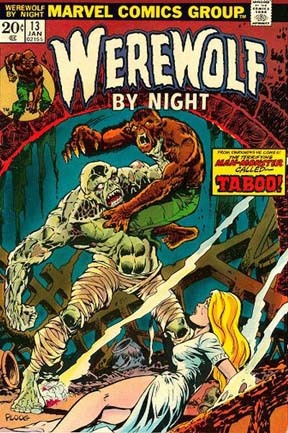 Marvel had a number of comics in the 70s that posited monsters as crimefighters.... Frankenstein, the Mummy, a Zombie, heck, even the Son of Satan! Good times, good times. 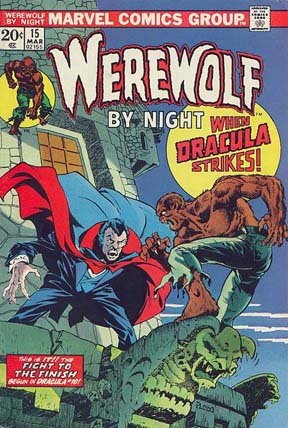 Here are the covers to WBN #13 and 15.